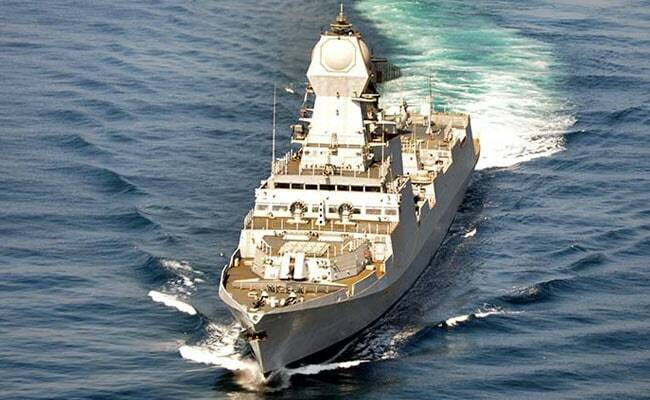 According to Union Minister for State for Road Transport & Highways, Shipping, Chemical & Fertilizers Mansukh Mandaviya, at present there is no such facility in the world where warships are legally dismantled. The Ministry of Shipping has decided to develop Asia's largest ship-breaking yard at Alang as an eco-friendly yard. The yard will be the only such place in the world where even warships will be dismantled. "The Ministry has decided to develop Alang as an eco-friendly ship-breaking yard. The yard will be developed by the Gujarat Maritime Board (GMB) and the Alang Ship Recycling Yard Association through a Rs 215-crore fund allocated through the Ferrous Fund setup for the purpose," Mansukh Mandaviya said on Friday. "Due to the non-availability of facilities of warships to be dismantled anywhere in the world, tremendous business awaits at Alang. There are hundreds of ships waiting to be dismantled and Alang can be the perfect place for them. This is a big business beyond anybody's imagination," said the minister. The Ferrous Fund will also help create many infrastructure facilities such as service roads, pipelines for water for fire fighting, for LNG and PNG, boundary walls and sewage treatment plants etc. "Digital security cameras with night vision facility will be placed at strategic places in the yard. The fund will also be utilized for the Rs 5 lakh accident insurance for labourers," said the minister. The fund will also be utilized for setting up a 40-meter, six or seven-storeyed tower, similar to a lighthouse. On the top of the tower, binoculars will be placed for better viewing of ship-breaking for visitors.